PlayerUnknown’s Battlegrounds has rolled out its latest PC patch. 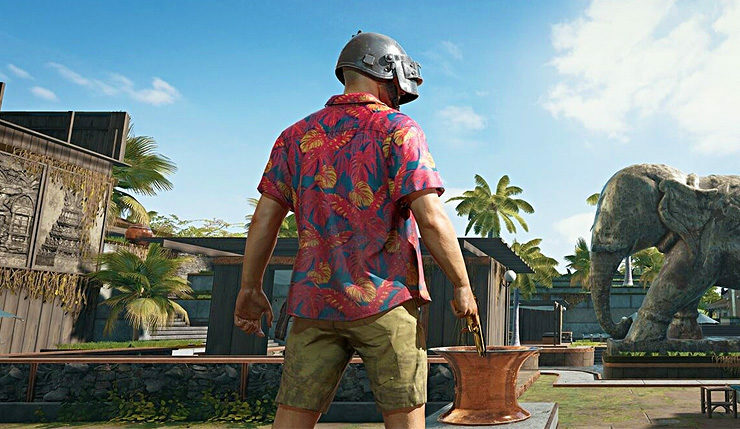 The update adds a few things, including a new lobby, background music, and loading screen celebrating the upcoming PUBG Global Invitational tournament, but the main purpose is to fix a nasty exploit affecting the game’s new Sanhok map. For those who haven’t been keeping up on their PUBG news, clever players found a specific spot in the southwest corner of the Sanhok map where you could glitch through the ground. This allowed players to hide underground to avoid opponents/score a few cheap ambush kills. You can see an example of the glitch in action, courtesy of YouTuber NiKlaS, below. Ruins – Added cracked bells, mossy rubble piles, and a new cap on the central palace. Cliffs / Rocks – Enhanced the look of cliffs and rocks mapwide. As always, PC update 17 is rolling out to the PUBG Test Servers first, then will roll out to everybody once it’s been deemed stable. It’s a fairly modest update, so that shouldn’t take too long. PUBG is available on PC, Xbox One, and mobile, although the latter two platforms are on a different update schedule than PC.